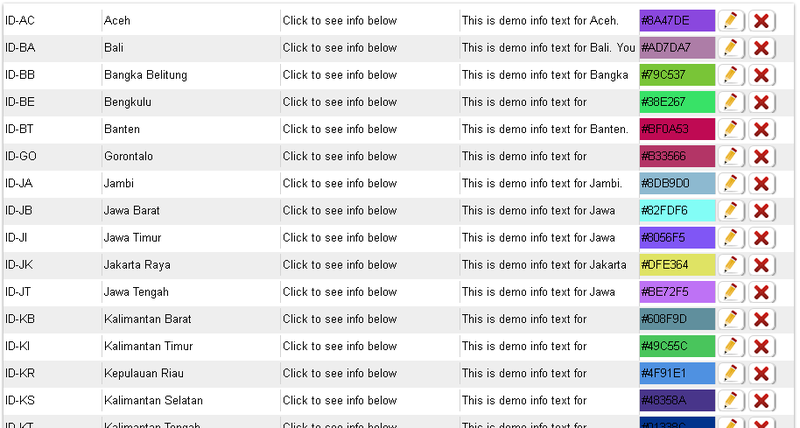 Interactive map of Indonesia, created with Google Interactive Maps WordPress Plugin. Responsive interactive map of Indonesia for WordPress (Peta interaktif dari Indonesia). Onhover of the map’s active region shows tooltip, onclick- show html text info below the map.